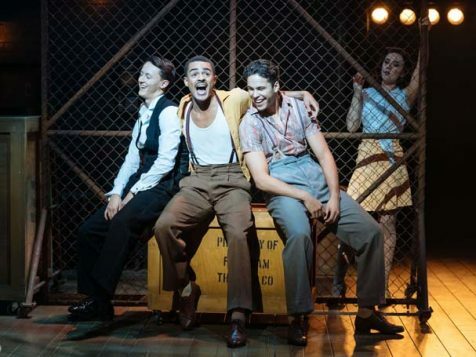 There is much in Cole Porter’s Kiss Me, Kate (and its Shakespearean source material for that matter) that does not sit well in 2018. 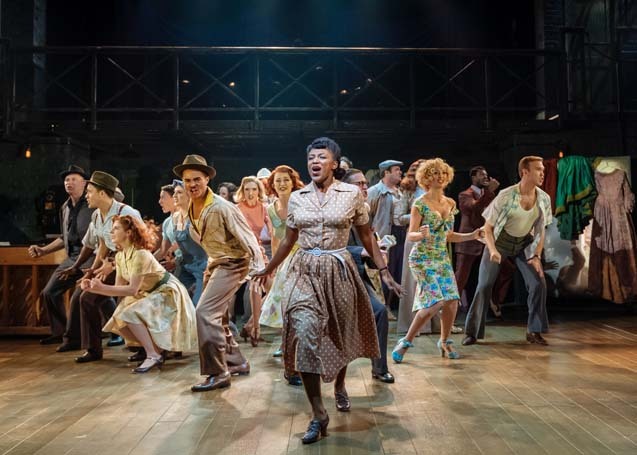 The romanticised domestic violence in particular shows the musical to be a product of its time. It’s not always a comfortable watch from this perspective but Paul Foster’s production is powered by its full-throttle cast, high production values and Matt Flint’s vivacious choreography. 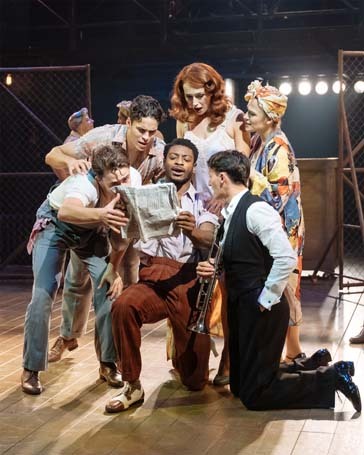 The action is split between a 1950s staging of The Taming of the Shrew and the backstage drama that ensues. 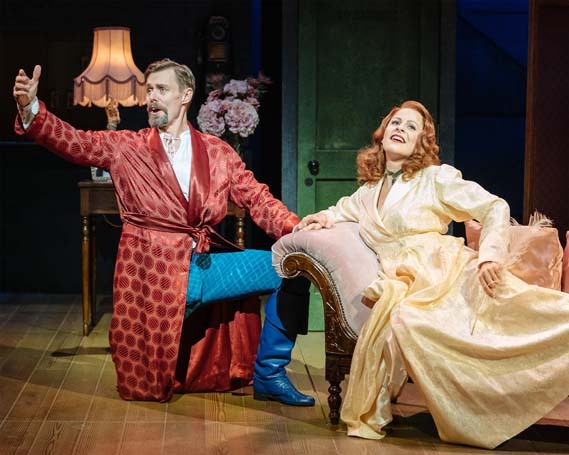 As the star leads and warring exes Lilli (Rebecca Lock) and Fred (Edward Baker-Duly) give committed performances and have credible chemistry. Their cool refinement works well in contrast to Dex Lee and Amy Ellen Richardson. The two sizzle as up-and coming stars: Lee as balletic Jack-the-lad Bill and Richardson as blonde ambition Lois. 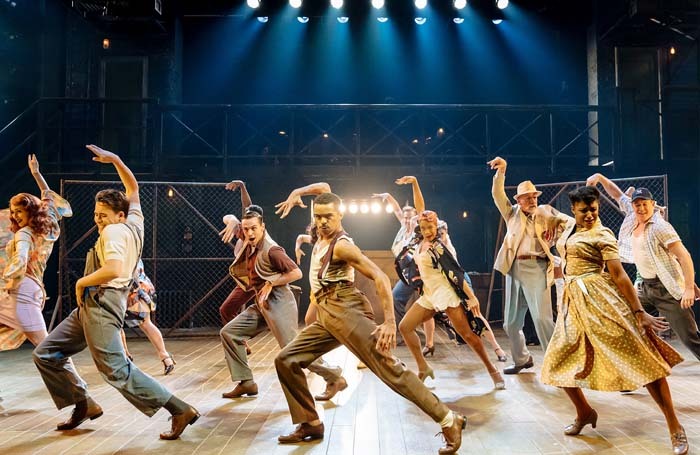 The show’s most famous number, Too Darn Hot, led by a stunning Layton Williams, is a dazzling stand-out of finger clicks and slick moves. 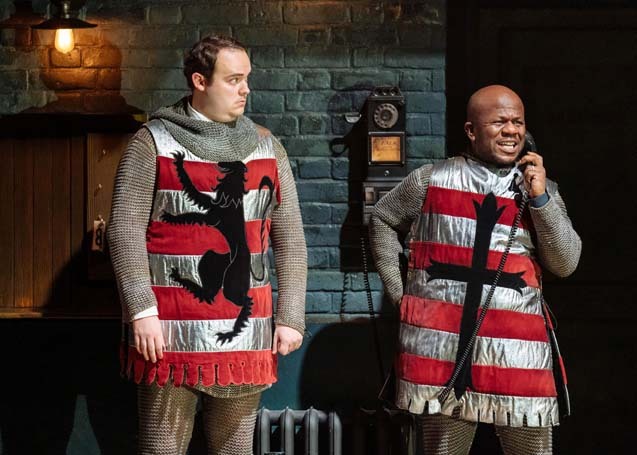 Well-timed comic relief comes from Joel Montague and Delroy Atkinson as hapless but charismatic gangsters with an ear for the Bard. Foster and designer Janet Bird have ramped up the camp in the-show-within— show. 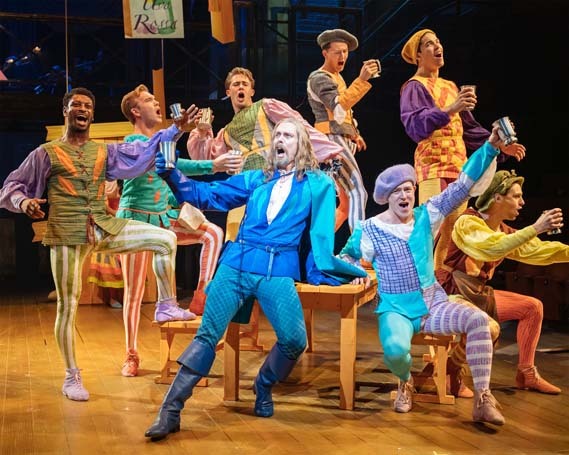 Never was so much prancing in garish tights and raucous singing on tables with tankards so well executed. In contrast, there is a sophistication to the behind the curtain scenes that adds balance to the tomfoolery in ruffs. This is accentuated by rich costumes and truly fabulous wigs, making for an energetic and stylish production.